All Aboard with Mr Windrush! All Aboard! 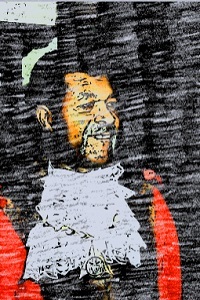 Join Sam Beaver King (one of the original passengers of the Empire Windrush who later went on to found the Notting Hill Carnival and also became the first Black Mayor of Southwark) on his journey. Children and adults alike will be encouraged to make the boat, sounds and songs of the sea and act as crew members for the Empire Windrush. As the journey continues, traditional Afro/Caribbean and West Indian stories will be told, using drama, music and dance. Artworks Elephant, The Trunk (SE17 1AY) on Friday 12th October at 16.30 and 18.30 - book tickets here. John Harvard Library (SE1 1JA) on Saturday 20th October at 11.00 and 14.00 - book tickets here. All tickets are FREE but we recommend booking in advance as these performances are likely to fill up quickly.